With the recent release of nominations for the 91st Academy Awards and the award show airing later this month, what better time to complain about the Oscars? It seems like every year there is some controversy surrounding the Oscars – whether it be a controversial statement by a host or the 2016 Oscars diversity scandal, #oscarssowhite. The most common complaint year in and year out, however, revolves around the Best Picture category. This year is no different. The nominees for best picture this year are “Bohemian Rhapsody,” “Roma,” “The Favourite,” “Black Panther,” “BlacKkKlansman,” “Green Book,” “Vice” and “A Star is Born.” Chances are you think at least one of those movies didn’t deserve a nomination and that another movie was snubbed. Every year there are groundbreaking movies that don’t get nominated, like “The Dark Knight” in 2008, or mediocre movies that do get nominated, like “Phantom Thread” just last year – sorry to all the “Phantom Thread” fans out there. While there will always be complaints from people about the Best Picture nominations no matter the voting process, there are still improvements that can be made to make sure more of the years’ consensus best pictures actually get nominated. First, it is important to understand how the nomination process for Best Picture works. For most categories, nominees are selected by votes cast from members of specific branches. For example, the nominees for Best Director are voted on by directors, and all the acting categories are voted on by actors and actresses. The Best Picture category is different, however. Everyone gets to vote for Best Picture nominees and each voting member submits a list of five to 10 movies that they consider to be the best. There is a lot of complicated math surrounding how a movie receives a nomination but, basically, Academy members rank their choices in order of preference. Ballots are first sorted in order of first-place votes – in order to receive a nomination, a movie has to get “the magic number” of first-place votes – which for the best picture category is roughly 10 percent of the total votes. 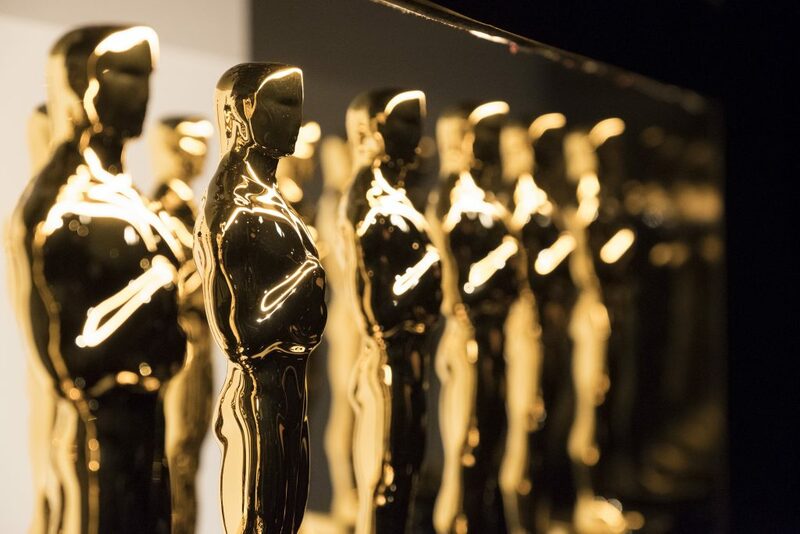 Considering that the academy consists of roughly 8,000 members, a movie has to receive at least 800 first-place votes to even have a chance at being nominated. Basically, the total amount of votes that a movie receives means little compared to the number of first-place votes. This is a relatively new voting process. Until the 2012 Oscars, movies received a point for every placement on a list. So a movie with very few first-place votes but a lot of second and third-place votes could still receive a nomination. You might be thinking that nominating based solely on the number of first-place votes makes sense. It is called the Best Picture category after all. First, I would ask you to look me in the eyes and tell me with a straight face that “Bohemian Rhapsody” is a better movie than “Sorry to Bother You.” Second, I would say that just because a movie receives more first-place votes, that doesn’t necessarily make it the best movie by consensus. Nominating movies based solely on first-place votes makes the process a measurement of passion, not consensus. Think about it this way: say movie A receives 2,000 total votes – five hundred of them being first-place votes, and movie B receives 4,000 total votes, but only three hundred first-place votes. Under the current voting process, movie B, despite making it on roughly half of the Academy’s nomination list, wouldn’t receive a nomination because it didn’t reach the magic number of first-place votes. Movie A, however, would receive a nomination even though it received 2,000 fewer total votes than movie B. Instead of needing a large following to receive a Best Picture nomination, movies just need a small but passionate group. This could explain why the ratings for the award show have dropped from 43.7 million in 2014 to 26.5 million just last year. While there are countless other factors that could explain the drop, I think people are tired of their favorite movies getting overlooked in favor of movies like “Phantom Thread” which didn’t even gross $50 million worldwide. Obviously, how much a movie makes isn’t a good determiner of a movie’s quality, but it is a good way to measure its popularity. If movies that hardly anybody sees continue to get nominated for Best Picture, fewer and fewer people will watch the Oscars. The best option for both the Oscars and the people watching is to go back to the voting process pre-2012 Oscars, where total votes mean more than just first-place votes. Changes might be on the horizon if this year’s nominees are any indication. The Best Picture category this year consists of more blockbusters and higher-grossing movies than recent years. While I still think that some movies were snubbed – I’m still upset that “Sorry to Bother You” wasn’t nominated – I can say that this year it is more of a matter of personal preference as opposed to previous years, where it was due to movies that nobody saw taking up spots on the list. Obviously, there is no way to completely fix this problem. There will always be unhappy people who think their favorite movie was snubbed. However, going back to the voting process before 2012 will make the nominations more of a consensus vote. Audience members will notice more and more of their favorite movies in the Best Picture nominees and will decide to tune in, boosting ratings for the Oscars and making almost everybody happy.